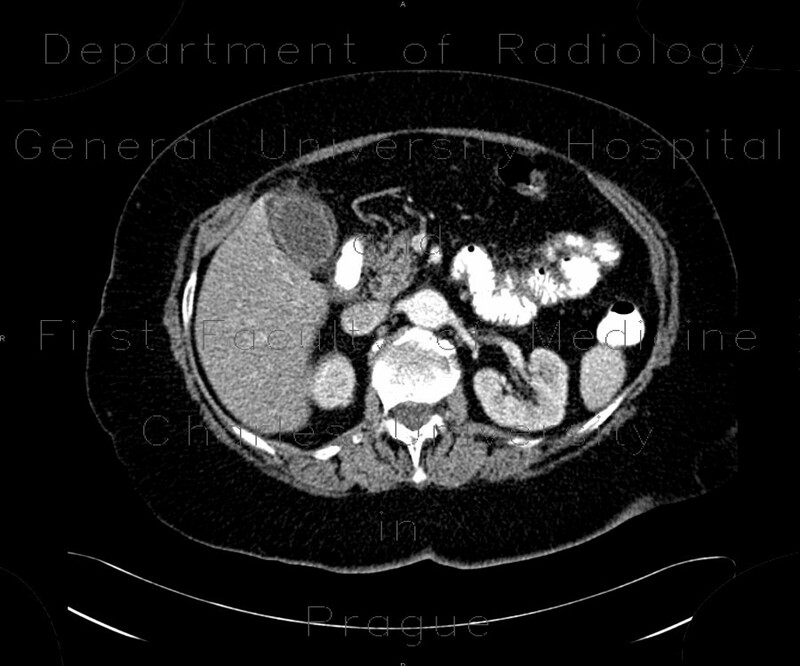 CT shows thickened wall of the gallbladder. Usually, in acute cholecystitis, the wall has hyperdense thin inner layer and hypodense outer thick layer, as seen in this case. There is a mild fat stranding adjacent to the fundus and a calcified gallstone within the lumen. Thickened wall of the gallbladder does not indicate only an acute inflammation, it can be found in patients with cardiac failure, ascites, hypalbuminemia, hepatitis and other non-inflammatory conditions. Clinical context and laboratory findings are essential.